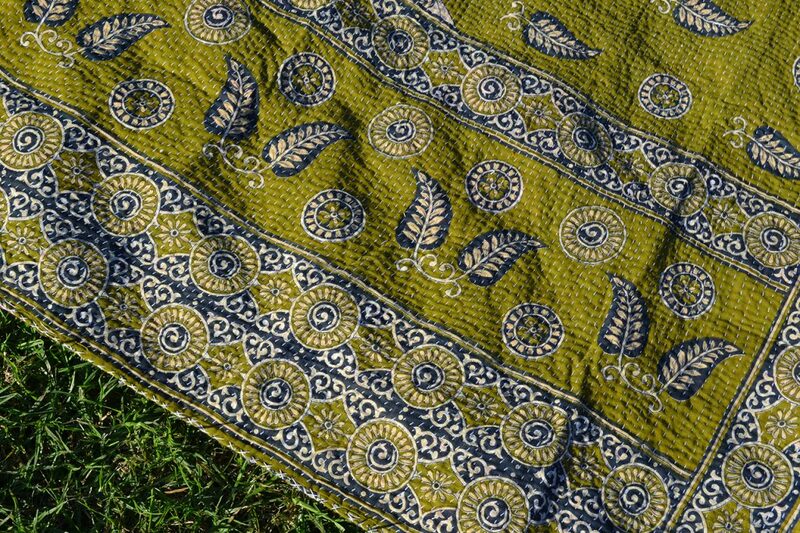 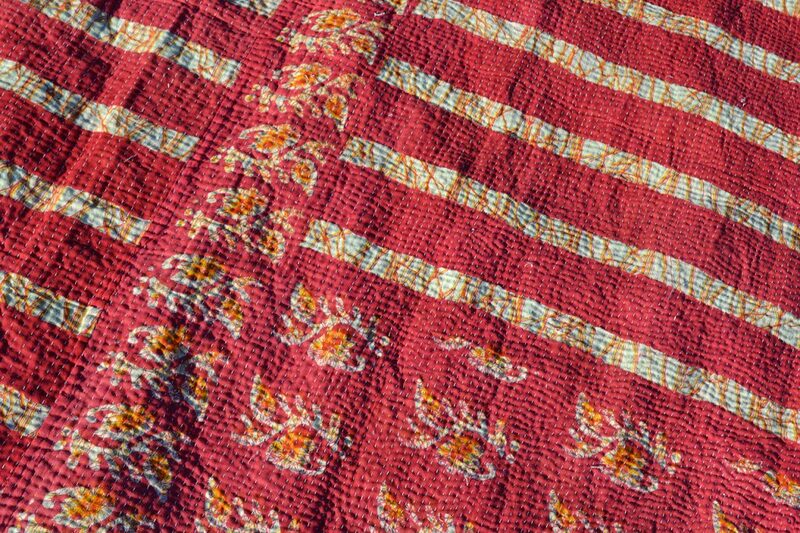 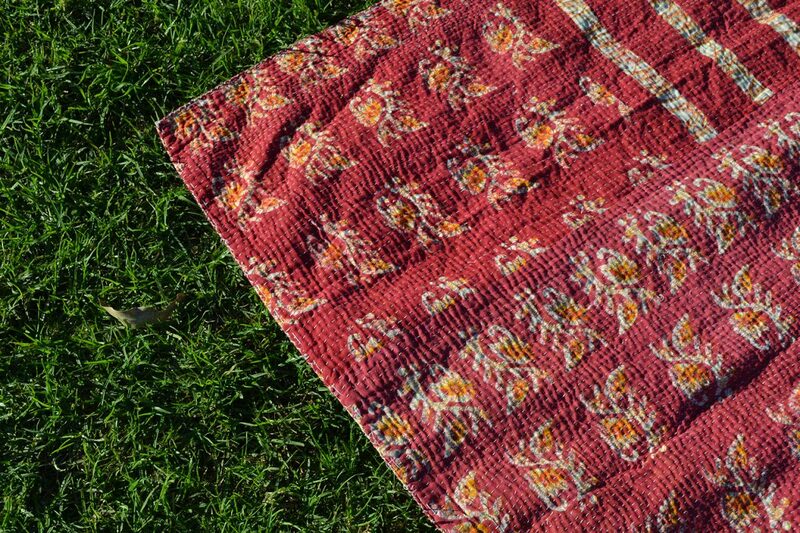 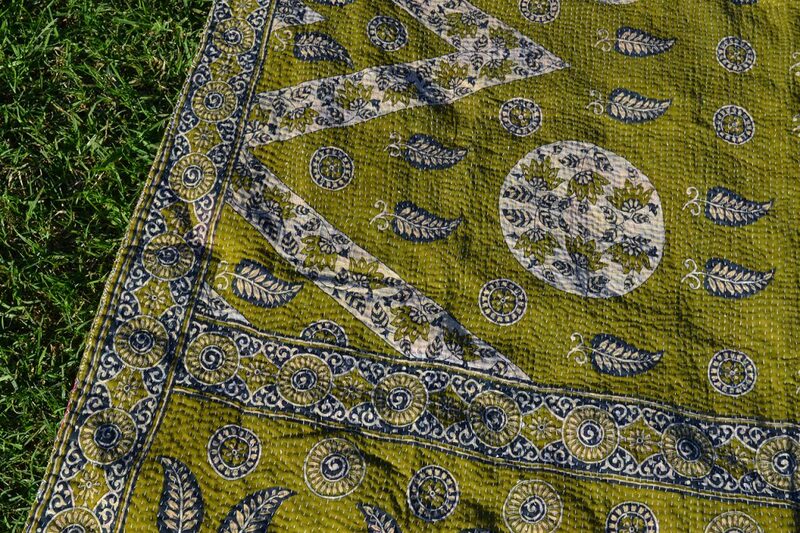 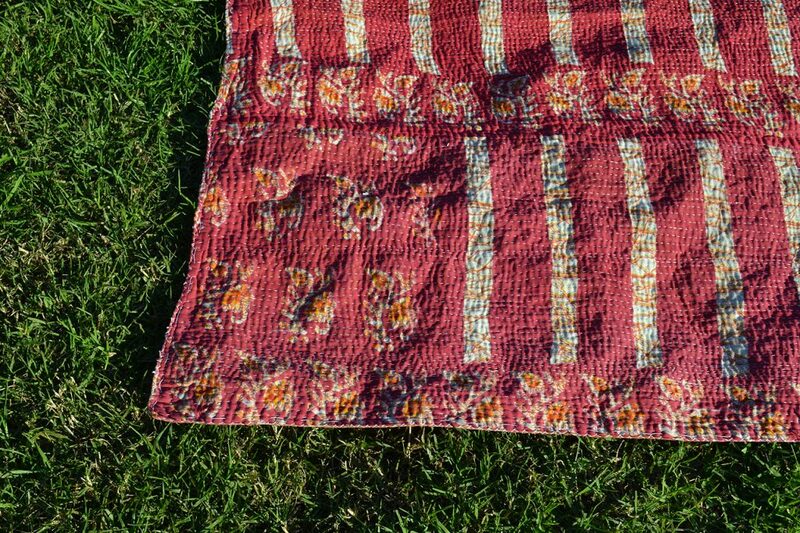 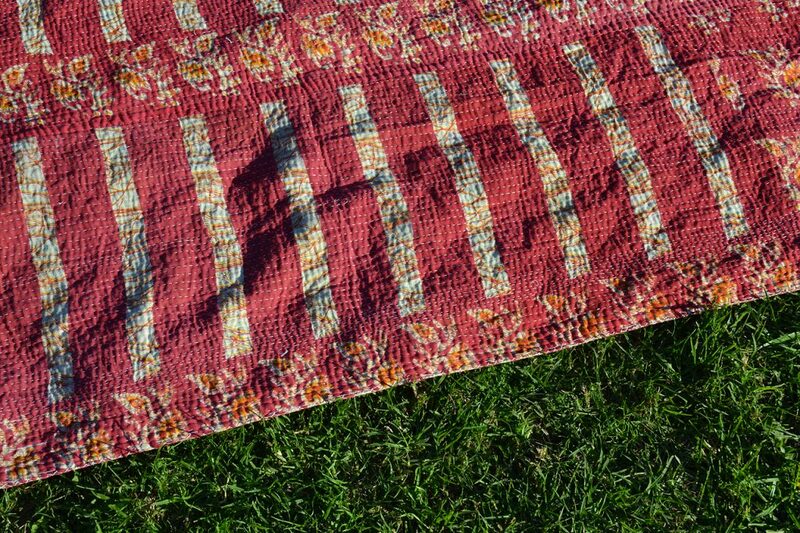 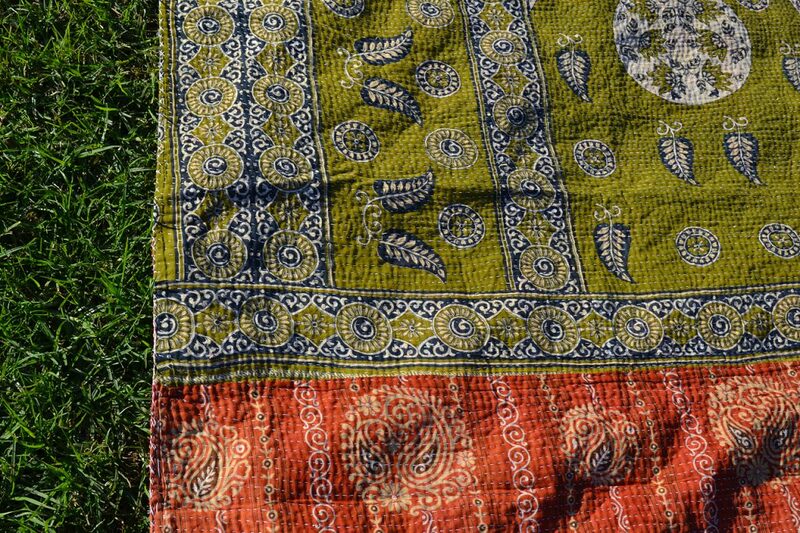 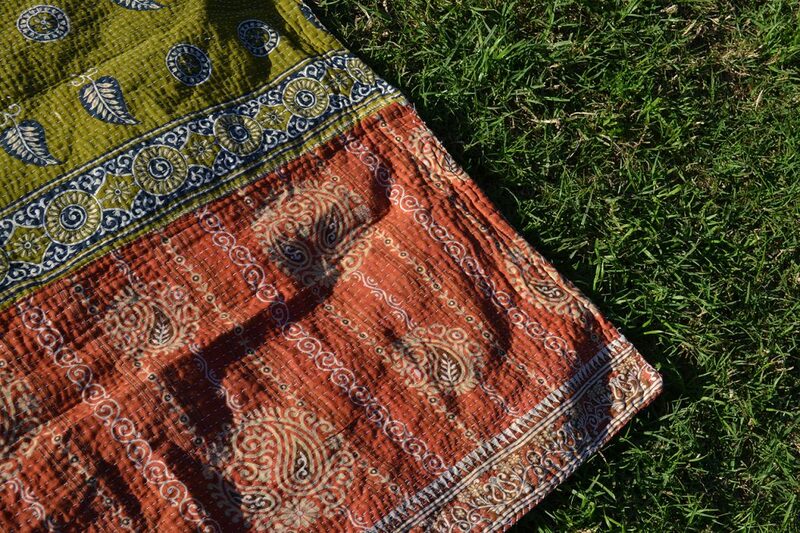 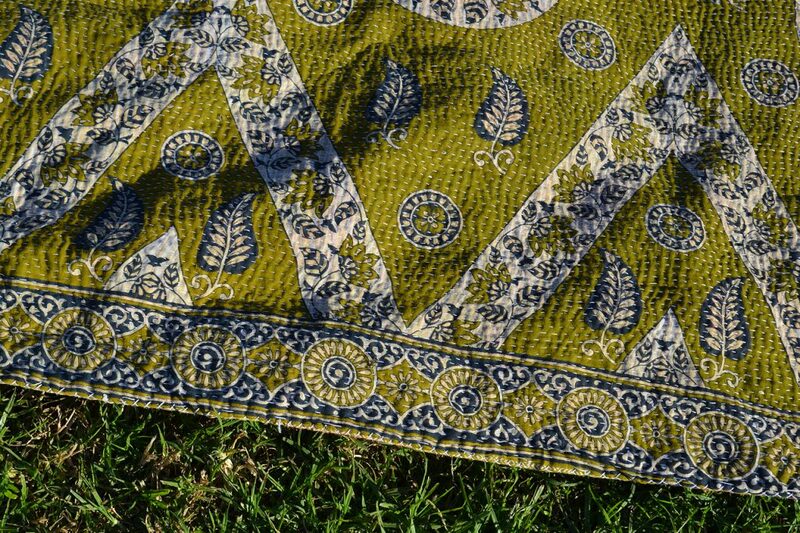 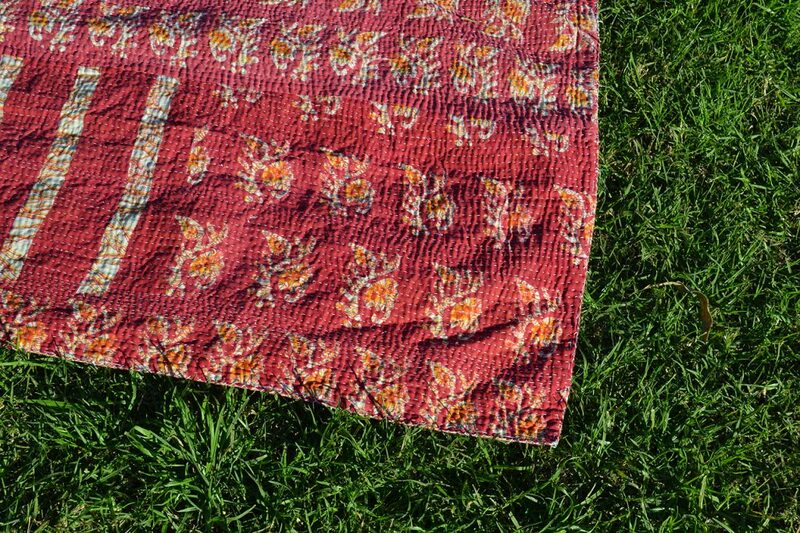 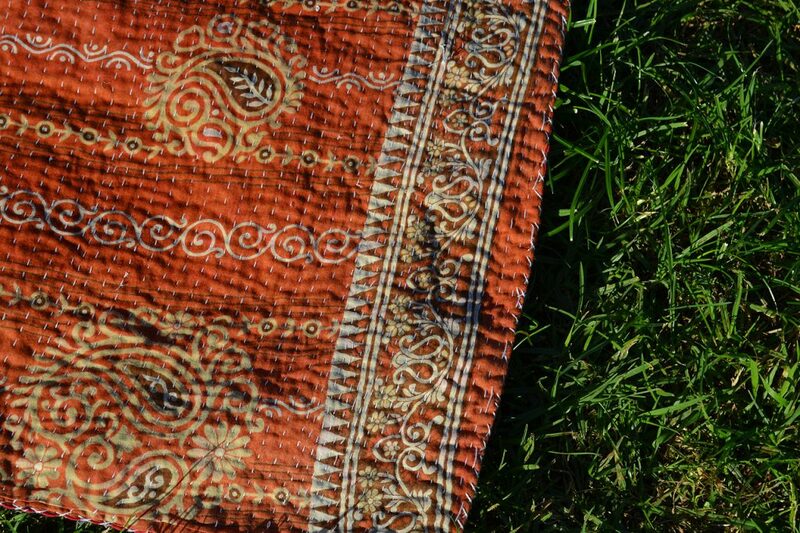 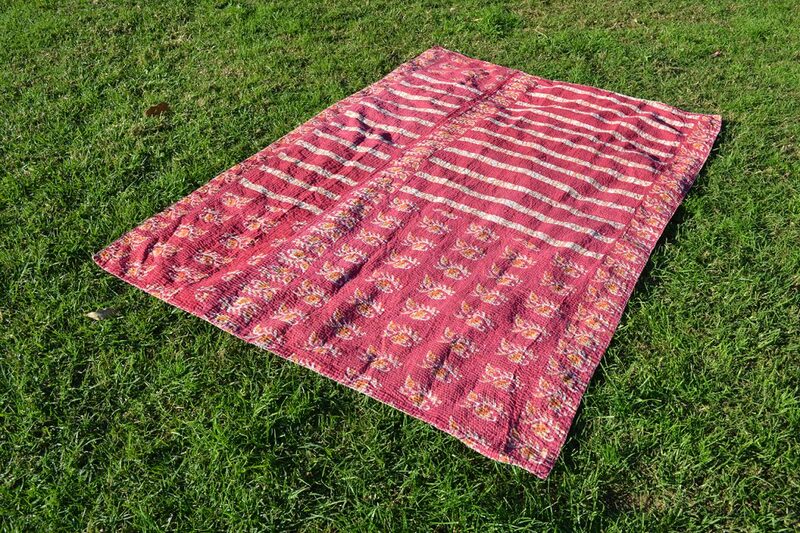 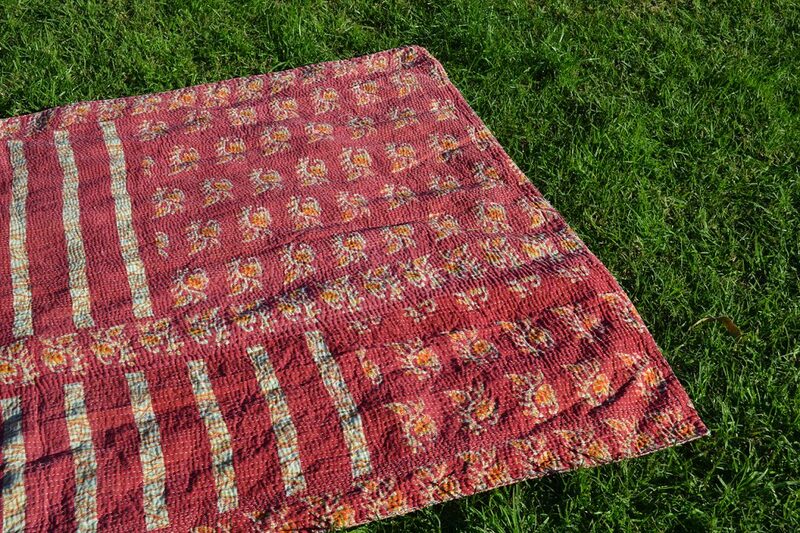 We love this kantha quilt’s earthy hues and pagan prints, from rust and olive to warm pink, white and yolk on the reverse side. 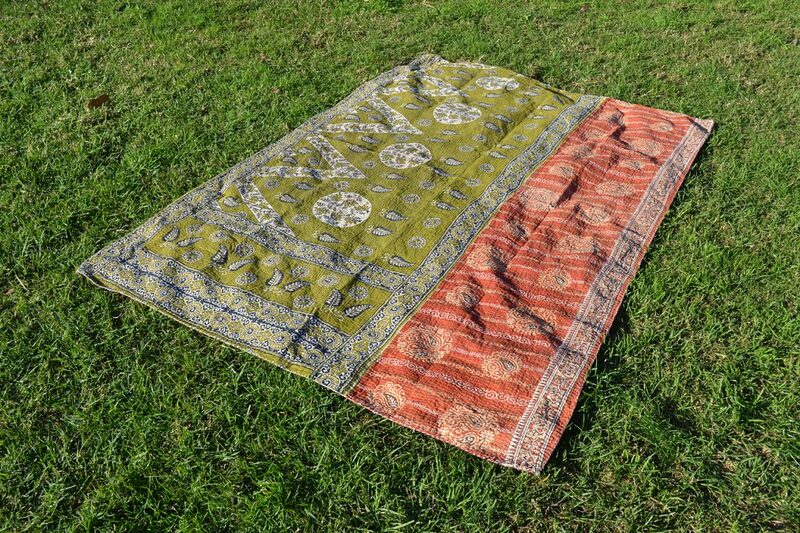 Beautifully balanced, we love how you get two different styles with this one, both quite complementary to each other. 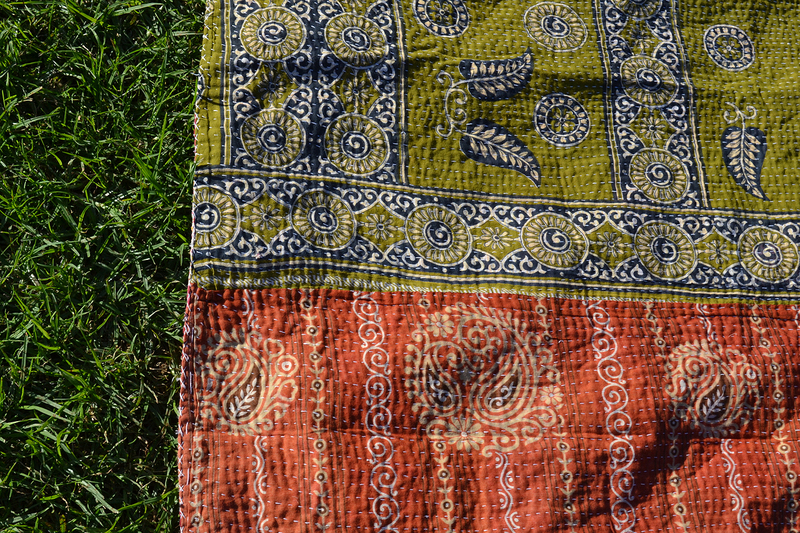 So earthy and rich, the mandalas & leaves have got to be our favourite part.